Beatles FAQ: Which was the first song written for Sergeant Pepper? Which was the first song written for Sergeant Pepper? In August 1963 The Beatles returned to the Cavern to play what proved to be their last gig there. It proved a chaotic event with frequent power-cuts causing frequent interruptions. During one of the forced intervals, Paul McCartney calmed the crowd by playing impromptu acoustic version of an old favourite. He was joined on stage by John Lennon to play 'When I'm 64', as they waited for the power to return. 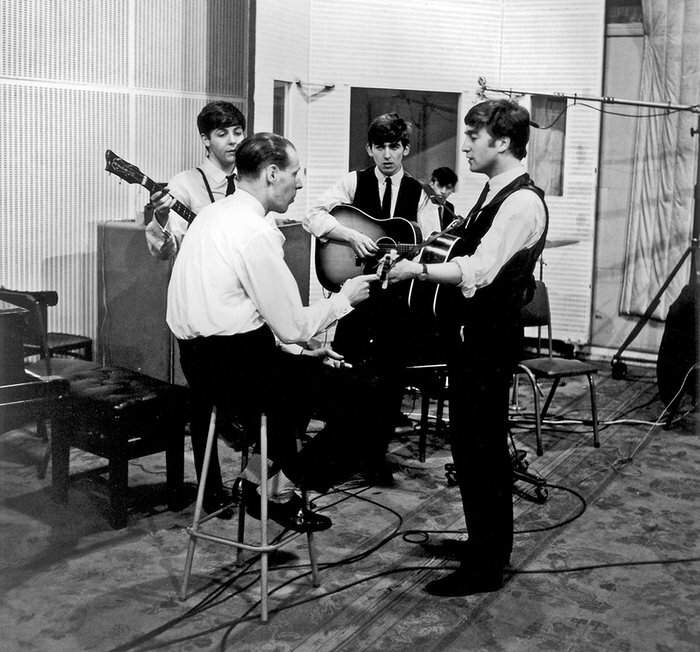 The choice of 'When I'm 64" (three years before it appeared on Sergeant Pepper) was perhaps an unconscious tribute to their local fans for whom The Beatles had performed it during many of their nearly three hundred performances at The Cavern. 'When I'm 64' was one of Paul's first songs. He wrote the tune when he was just sixteen, alongside another one he intended for Frank Sinatra, 'I Call It Suicide'. It was the latter he initially had hopes for, despite the fact that it was saddled with one of the all-time-worst titles for a pop song. It was, however, his teenage musings on 'old age' that was destined for immortality.